LSE-listed Petra Diamonds delivered solid production, along with a “continued improvement” in its safety performance, in the first half of the 2019 financial year. 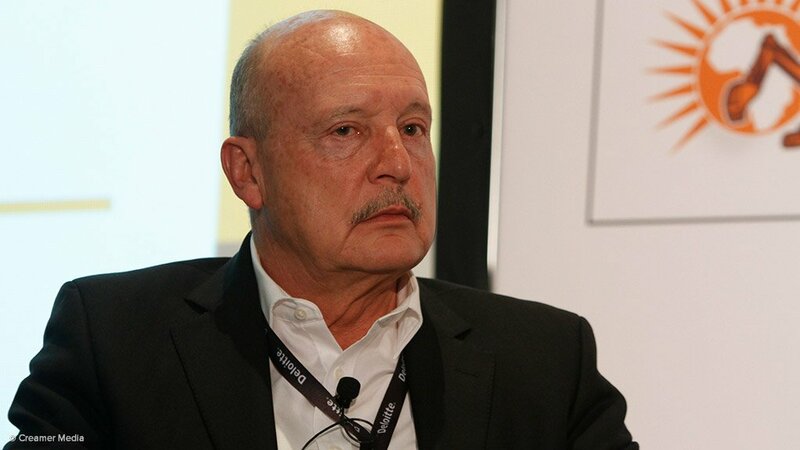 CEO Johan Dippenaar on Monday said the mining company, which operates the Cullinan, Finsch and Koffiefontein mines, in South Africa, and the Williamson mine, in Tanzania, was “seeing production reaching consistent levels” while the company’s focus remained on the delivery of operational and capital expenditure (capex) efficiencies in order to generate positive free cashflow and a subsequent reduction in debt. Production for the six months ended December 31 increased by 10% to just over two-million carats, mainly owing to a 30% increase in the Cullinan mine’s run-of-mine (RoM) production, which increased by 13% to 1.9-million carats. RoM carat production at the Finsch mine was flat at 927 934 ct. The mine’s overall production decreased by 9% year-on-year to 947 424 ct owing to the planned reduction in tailings production as the tailings resource nears depletion. A planned winder upgrade was completed at Finsch during the period, which necessitated a planned shutdown from December 21, 2018 to January 4. Meanwhile, the Koffiefontein mine’s RoM production also remained flat, at 25 275 ct. Production at the mine was negatively impacted on by community unrest relating to municipal service delivery, operational challenges as a result of plant availability and lower-than-planned grade recovered. In spite of community-related protest actions during September, which worsened and disrupted operations at Koffiefontein throughout the second quarter of the year, RoM tonnes mined increased by 40% to 434 000 t and RoM tonnes treated increased by 30% to 377 000 t.
Production at the Williamson mine increased by 23% to 214 421 ct, mainly as a result of an 18% increase in the RoM grade recovered, as well as a 4% increase in tonnes treated to 2.7-million tonnes. Meanwhile, Petra Diamonds’ revenue increased by 8% to $207.1-million, driven by increased sales volumes of over 1.7-million carats. The diamond inventory as at December 31 was 811 718 ct, valued at $76.3-million. Post period-end, two good-quality pink stones of 21 ct and 10 ct respectively were recovered at Williamson. These will be sold during the February tender. The diamond market, meanwhile, started the first half of the financial year in line with expectations, with the six months under review generally the slowest time of the year in the rough diamond sales calendar. During September and October, while demand for higher-value diamonds remained strong, the rough diamond market experienced a softening in demand for lower-value small diamonds, which impacted on overall sales prices, Petra said in a statement. This softening in demand, Petra said, was driven by a weakening in global markets and by seasonal destocking at a number of Indian midstream companies. During November and December, however, demand for the lower-value small diamonds recovered to some extent owing to a renewed seasonal demand and the replenishment of stocks by companies in the cutting sector. Petra expects the diamond market to remain stable for the remainder of the financial year.